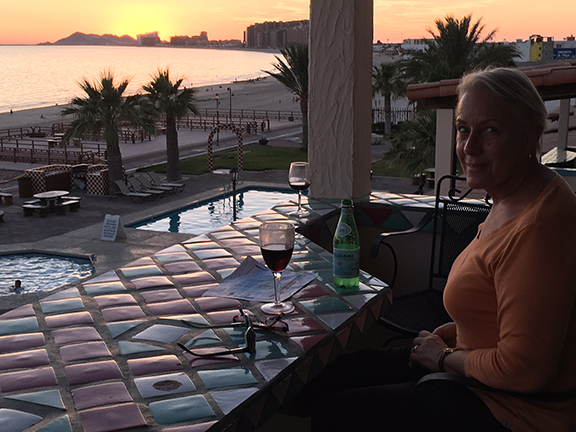 It was our last night at Puerto Penasco, otherwise known as Rocky Point. Today it's a wonderful resort, but we have to thank the Army Corp of Engineers for creating a paved road to this rugged outpost in WWII so that, in case California was taken over by the Japanese, we would still have access to a sea channel. 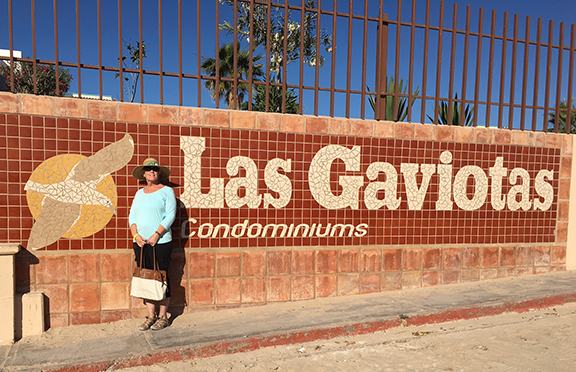 Fast forward to last night, and Kathy and I enjoyed a nice evening on the front porch of our rented condo at Las Gaviotas. Great little cove of condos, in the gooseneck of Sandy Beach. left, is known as Cholla Bay. 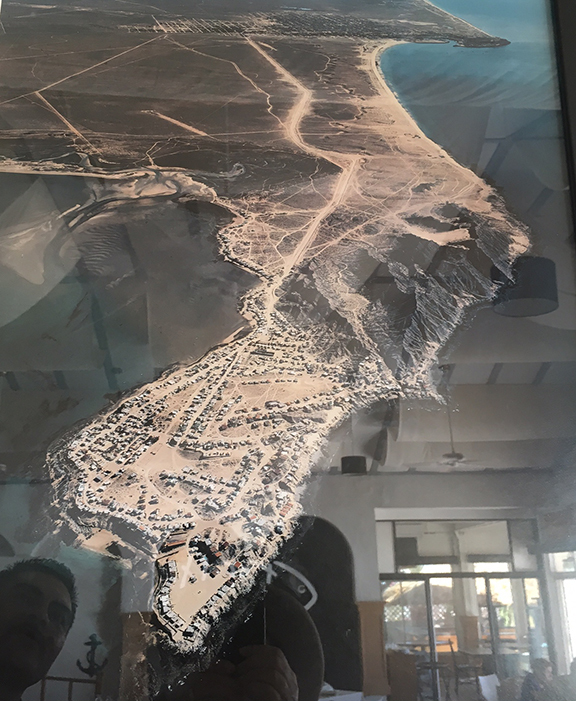 This photo hangs in the fish restaurant up on El Capitan, overlooking the bay. This is how Sandy Beach looked back in our day. Kathy first came down with her family when she was 13, in 1963. And I first came down in 1974, with the Ds, and Sandy Beach, that long stretch of open sand at mid to top right, was nothing but sand. Not so today. See high rise hotels in first photo, above (looking the other way). "It's a funny thing with documentary films. You want them to feel as entertaining and as gripping as a fictional film. With a fictional film you want it to feel as realistic as a documentary film."